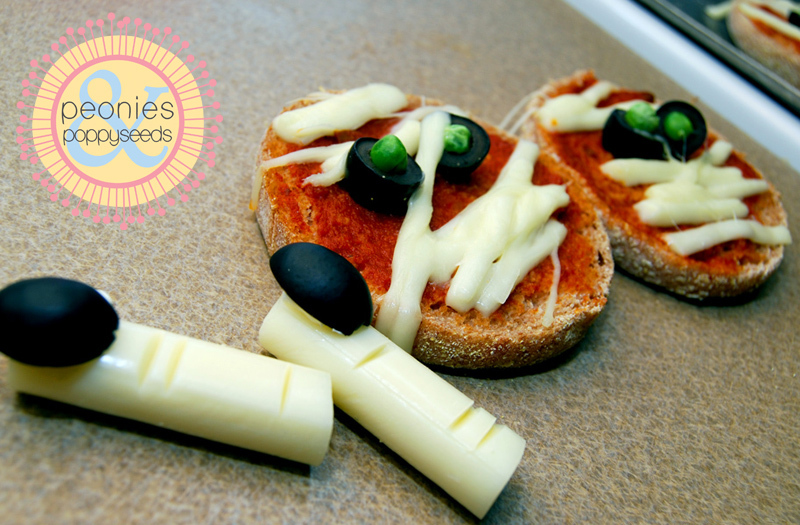 These snacks are great because you can get creative with the toppings (as in, you don't have all the things you thought you needed so you must improvise with things like frozen peas for eyeballs). Smear pizza sauce (or if you're lazy, like me, a premade jar of spaghetti sauce) on english muffin halves. Use olives, scallions, pepperonis, or WHATEVER for eyeballs. Heat up the mummies on a cookie sheet in a hot oven (350º ish) for about 10 minutes, or until the cheese is melted and the muffins are warm. 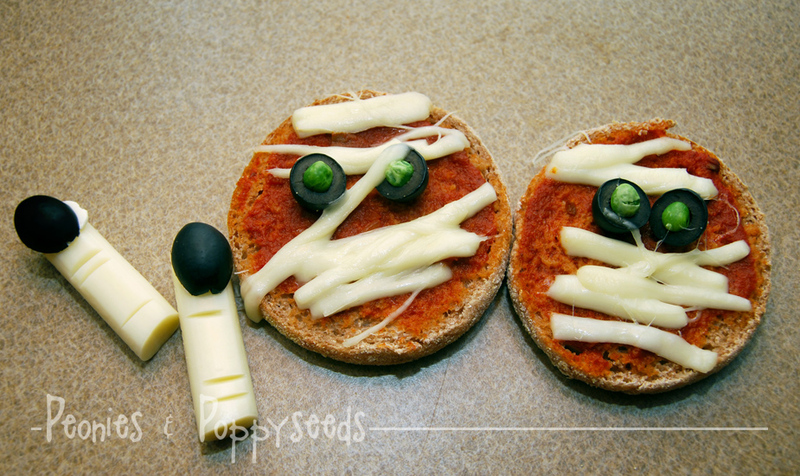 I found the idea for the mummy pizza here. Just take some string cheese and cut little slices in it for the "knuckles". You should eat the little pieces of cheese that you end up slicing out. Because string cheese tastes good. "Glue" half of an olive on for the fingernail by using a dab of cream cheese. You could use green olives or peppers for the nails if you want (I don't think mummified fingernails have to be a specific color). I found the mummy finger idea here. Chill the fingers until you're ready to eat them. 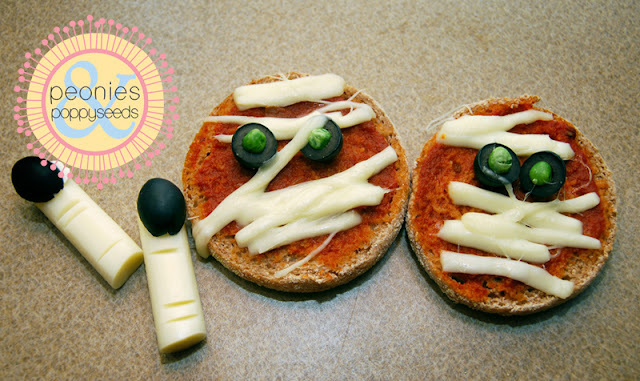 You can also serve the mummy pizza's cold as long as they stay refrigerated, but they probably taste best warm.